Professor Strawson taught at the University of Oxford from 1979-2000, where he was a Fellow of Jesus College. He was Professor of Philosophy at the University of Reading, UK from 2001–2012, and and Distinguished Professor of Philosophy at the City University of New York Graduate Center from 2004-2007. 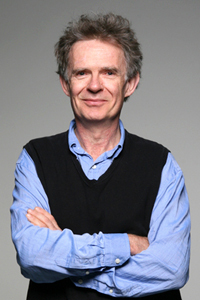 He has held visiting research positions at the Research School of Social Sciences, Australian National University, Canberra (1993, 2012); the University of Copenhagen (2003, 2011); Princeton University, where he was a Council of the Humanities Old Dominion Fellow (2011); and the Ecole des hautes études en sciences sociales in Paris (2012). He has taught as a Visiting Professor at NYU (1997), Rutgers University (2000), MIT (2010) and Princeton (2011). He is the author of Freedom and Belief (Oxford 1986, 2nd edition 2010), The Secret Connexion: Realism, Causation and David Hume (Oxford 1989), Mental Reality (MIT Press 1994, 2nd edition 2009), Selves: An Essay in Revisionary Metaphysics (Oxford, 2009),The Evident Connexion: Mind, Self and David Hume (Oxford, 2011, revised paperback edition 2013), Locke on personal identity (Princeton 2011, revised paperback edition 2014). He is principal author of Consciousness and its Place in Nature, ed. A. Freeman (Imprint Academic, 2006). A selection of his philosophical papers, Real Materialism and Other Essays, was published in 2008 (Oxford). A general survey of questions raised by the notions of the subject of experience, the self, and the person. The course will be centered in metaphysics and the philosophy of mind, extending into epistemology, social psychology, moral psychology, and ethics. Central questions. What is a subject of experience? Is there such a thing as ‘the self’? Review of the ideas of Descartes, Locke, Hume (all three standardly misunderstood). William James on the self. The question of self-knowledge (questions about introspection, immediate acquaintance, the ‘situationist’ data, the injunction to ‘know yourself’, the structure of self-consciousness—role of embodiment, role of ‘the other’). Other possible topics: The ‘narrative’ conception of the self. Indian views. The structure of consciousness. Kant on the self. Relevance of data from psychopathology. Illustrative selection of authors: A. Coliva, B. Dainton, A. Damasio, D. Dennett, R. Descartes, B. Gertler, D. Hume, W. James, D. Kahneman, J. Locke, A. MacIntyre, I. Murdoch, F. Nietzsche, D. Parfit, M. Proust, B. Russell, M. Schechtman, S. Shoemaker, G. Strawson, C. Taylor, D. Velleman, S. Wolf, D. Zahavi, P. Zimbardo. This seminar is restricted to first year graduate students in Philosophy. Topics of central concern in analytic philosophy, with a focus on philosophy of mind, philosophy of language, and metaphysics. We propose to examine the prospects for identity metaphysics, which questions the fundamentality of ontological distinctions that other forms of metaphysics treat as fundamental. In one strong form identity metaphysics holds that  the distinctions between the notions substance object quality property process state event are metaphysically superficial, so too  the distinctions between the notions energy laws of nature force causation power, so too  the distinction between these two sets of notions. Questions concerning the explanatory significance or intelligibility of various metaphysical or methodological proposals may occasionally arise. This seminar is restricted to first year gradraduate students. In this course we’ll consider some topics that are of central concern in analytic philosophy today, focusing on philosophy of mind, philosophy of language, and metaphysics. This course is an introduction to some of the central issues in the philosophy of mind. The fundamental question is simple: What is mind? Among the more specific questions that will be considered are the following: What is consciousness? Is mind-body dualism defensible? Is physicalism (everything is physical) defensible? Is panpsychism (everything is mental) defensible? Are ‘behaviorist’ or ‘functionalist’ theories of mind defensible? What is the relation between consciousness and matter (mind and body)? What is it to be a subject of experience? Is there such a thing as ‘the self’? What is a person (what makes a person the same person at different times)? What sort of knowledge do we have of other minds? (Is seeing the color red the same for all of us, and can we know this?) What sort of knowledge do we have of our own minds? To what extent are we subject to cognitive biases and illusions? What is the will? Do we have free will? How can mental states be about things? What are memory, perception, imagination, intentional action, ‘intentionality’? The question to be addressed is Socrates’ question: how should we live? More particular questions are likely to include the following: (1) Should we expect a (non-trivial) single answer to Socrates’ question? (2) What is the proper place and scope of the notion of character in ethics? (3) What is the place and scope of the notion of the self in metaphysics and ethics? (4) What is the place of the notion of narrative in ethics—in moral psychology and psychology in general? (5) How should we react to the situationist data in social psychology? (6) What is the scope of intentional action in human mental activity (ethical or not)? (7) Correlatively, to what extent is human mental activity best understood as passive, fundamentally a matter of reactivity? (8) How do answers to questions (5), (6) and (7) bear on the question of moral responsibility? This course satisfies the Ethics requirement. An introduction to the philosophical achievements of the seventeenth and eighteenth centuries, concentrating on such figures as Descartes, Hume, and Kant. Various articles or book excerpts including Frankfurt, G. E. Moore, Nagel, Parfit.